In my last post (link above)I looked at the links between Movement for a Democratic Society (MDS) and Progressives for Obama (PFO). Both organisations link former members of Students for a Democratic Society (SDS) and its terrorist splinter Weather Underground, with Marxists from the Communist Party USA, Committees of Correspondence for Democracy and Socialism and Democratic Socialists of America. All of these groups are using their influence in the Democratic Party, media, unions, churches, academia, protest organisations and social movements to make Barack Obama the next president of the USA. This post looks at two MDS activists from Texas, Thorne Dreyer and David Hamilton. Both are former members of the original SDS and are endorsers of the Progressives for Obama website. Dreyer and Hamilton are very active MDS members and have made their Austin Texas branch, one of the most active in the US. The Movement for a Democratic Society (MDS) is a multi-issue activist organization affiliated with the newly revived Students for a Democratic Society (SDS). 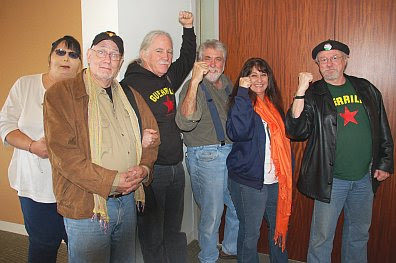 Many of its members are veterans of the New Left in the 60's and 70's. The goal of MDS is the creation of a more egalitarian society in both the political and economic spheres. MDS believes in participatory democracy, the expansion of human rights, universal healthcare, the rejection of discrimination based on race, gender or sexual preference, the preservation of the earth's environment, the expansion of workers' rights, a more equitable distribution of wealth, and the rejection of militarism and war as a way of resolving differences among peoples and nations. Both men are dedicated, practical supporters of Barack Obama. Hamilton has served as an Obama delegate at a Travis County Democratic Convention. Both believe that Obama, is like them, a socialist and that an Obama presidency would place more socialists in key governmental positions. They believe that communist/socialist/Democratic Party unity is necessary to elect Obama and to change society. They accept that Obama will have to lie about his true beliefs in order to get elected. We believe the election of a progressive Democrat at this time in history would result in a quick end to the tragic War in Irag, the introduction of such progressive measures as universal (or virtually universal) health care, and would produce judicial and other governmental appointments that would make a very real difference in people's lives. This would result in real, tangible changes in the lives of struggling lower income citizens, of racial minorities, of those rotting in jail because of race or victimless crimes, and, significantly, of oppressed peoples in other parts of the world. And, taking into account that both major parties, in the long haul, represent similar if not identical vested interests, we believe that the Republicans, with their corporate masters, with their oppressive and mean-spirited politics at times verging on the neo-fascist, must be stopped. It is of critical importance that we never latch on to a political candidate in this electoral system and herald him or her as some kind of a savior. Bottom line, the problems in this country are not based in who runs the system. The system itself is the problem. The shameful disparity in distribution of wealth between the obscenely rich and those left to struggle for their daily needs. All that taken into account, we believe that there is much to like about Barack Obama, and that there are substantial and valid reasons to work for his election. In 1936, the French Communist Party ended years of conflict with the French Socialist Party and established a united front that elected Leon Blum as the first socialist prime minister of France. That united front passed reforms that have characterized the socialist aspect of French society ever since. I am not a Democrat. I have not voted for the presidential nominee of the Democratic Party since 1972 and have not participated in their primary process since the Jackson campaign of 1988. Purists who reject him have no alternative other that “build an anti-imperialist movement." That is a false dichotomy. In November, hopefully you will have the opportunity to vote for Barack Obama for president. The ideal anti-imperialist won’t be on the ballot. Relate to that reality. He may disappoint somewhere along the way, but he is by far the best major party candidate I’ve ever seen. Thorne Dreyer and David Hamilton are not MDS bosses. They are not in the league of Bernardine Dohrn, Mark Rudd, Bill Fletcher, Tom Hayden, Carl Davidson, Robin DG Kelley, Charlene Mitchell or Gerald Horne. They are good soldiers, working hard for Barack Obama and the revolution. Trevor, you might want to do an Obama file on Obama supporters being linked with some hackers known as Anonymous which I refer them as Fascist Anonymous because for just simply no real reason they seem to hack websites they disagree with and also protest Scientology which I'll never follow but I ask the question why the online persecution then? You may wish to take a gander at Gawker.com for starters which was one of the many rabid left-wing sites which promoted Sarah Palin's private email messages and contacts. The same site in question also displays, and linkens Obama to Superman but they make every charge against any remote right-winger to not dare misuse their political leanings to promote to be more than greater than life itself. 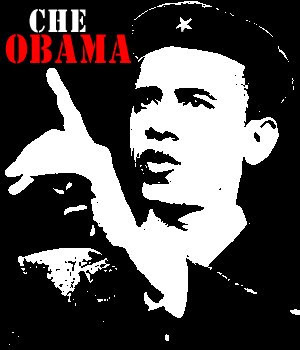 Also, feel free to use the Obama "=" Superman photo on my blog if you want to do another Obama file on Leftist Internet sites such as Gawker.com.